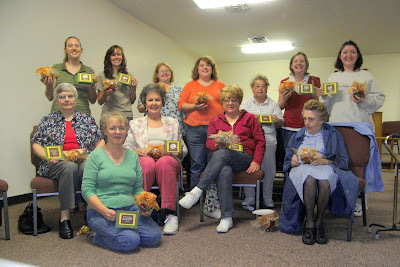 Ladies, it's been a great year in Women's Ministries, but I'm looking forward to summer. We'll be taking Memorial Day to be with family and attending Campmeeting on Monday, June 1st. Beginning on June 8th, however, you are welcome to join us for walking along the river and/or through Matter Park (as the Spirit moves...) each Monday night at 6:30pm. Come along -- bring your walking shoes and a friend! April 6 - Ivanhoe's Night!! Meet there @ 6:30 or call a friend and ride together. April 11 (all church) and 13 (as needed) - Parsonage Work Day - Please join us as we make one final push to get the parsonage ready for our pastor's family to move in on the 18th! More details coming soon to a bulletin near you. May 2 (Saturday) - Mother/Daughter Luncheon Invite the special women in your life to share this day. Sunday, Nov. 9th - Baby shower for Rochelle Page. She is expecting a girl and is registered at Walmart and Babies 'R' Us, 2 pm at the church. Monday, Nov. 10th - Ivanhoe's! If you'd like to ride with someone, feel free to buddy up. Meet there at 6:30 pm. Saturday, Nov. 22nd - Darlington Farms trip. We'll leave from the church at 8:30 and return after shopping and lunch. 1) Find all the promises (both overt and implied). 2) How many times is God mentioned, and in what context? 6) What do I learn about the author? Next up on the Women's Ministries calendar... Book Review Night! Sarah Swan will be sharing with us about a book she read recently about Brother Yun. Also, ff you're interested, bring books to lend to other readers. Spread the love of uplifting reading among our ladies! We hope to see you there!